In the age of Photoshop, it’s pretty easy for anyone, with a little bit of practice, to manipulate photos to make your normal, everyday pictures into something creepy. While we can’t say for sure that none of these photos have been altered, we can promise that we’ve done some digging to learn as much about them as possible. Some have some verifiable information behind them. Others… well, they are perhaps better left as mysteries. 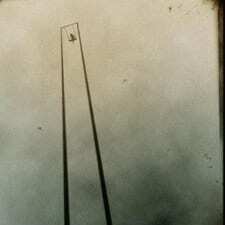 Ladies and gentleman, here are 13 of the creepiest photos ever taken. Psychological care has come a long way in the last 150 years. There is a reason, however, why so many haunted houses have asylum themes. Sure, those who were placed there had their own inner demons to deal with, but the people who were in charge of “caring” for them did some pretty sinister things themselves. Take this creepy photo for example. Looks like something you’d see in POW camp, not a mental health facility. Some photobombs are creepier than others. Just look at this one. When the picture was taken, nobody saw the presence of that clingy friend on the right. It was until the film was developed—yes, film developing was a real thing— that its presence emerged. Remind me to never vacation in … wherever this photo was taken! South of Mexico is Isla de Las Munecas (Island of the Dolls). The true history of this island is difficult to discern, as it balances both verifiable fact and legendary folklore. The quick and dirty version is that a young girl drown on the island and, sometime after, a doll rose to the surface. The owner of the island, Don Julian Santana Barrera, presumed the doll had belonged to the little girl. He hung it in a tree as a show of respect for the young girl. The gesture was to no avail, however, as her spirit continued to haunt him. In response, he hung even more dolls to appease her. 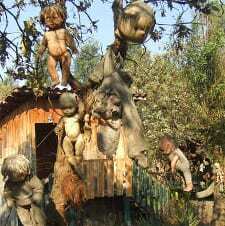 Barrera passed away in 2001, and the island has become a popular tourist attraction, where visitors come to hang even more dolls. Many people like to believe that when someone close to them dies, that person’s spirit stays close. It’s a comforting thought; knowing someone you love is always right there next to you. Then, there is this picture. Denise Russell took this picture in 1997. 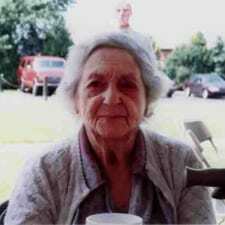 The lovely lady in the picture is her grandmother. The gentleman in the picture is her grandfather. He died in 1984. 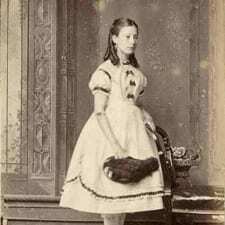 If you look at family photos from the Victorian era, you might not realize that many of those featured are actually dead. Not just dead now, but actually dead at the time the picture was taken. Indeed, it was common practice to get pictures with the newly-deceased to have one final memory of them before they were laid to rest. Many of the pictures are done so well that you can’t even tell. This girl here? Totally dead. We are going on record as saying that ventriloquism isn’t funny or even clever. It’s just freaking creepy. (Yeah, you read that right, Jeff Dunham!) 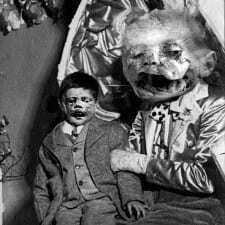 Think about it, grown people putting dolls on their laps and making those dolls express sentiments from the dark, twisted souls of the ventriloquist. It’s like they are trying to live through the doll. That brings us to this picture, which we hope with all of our hearts is actually Photoshopped, because otherwise… what the heck?! Is that a child up there? How did that child get up there? Why is that child up there? If not a child, then what the heck is it and, again, how did it get up there? Can we put Nickelback up there? 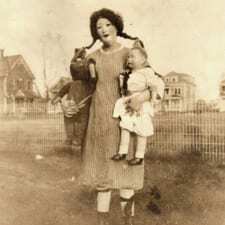 As you read this post, you’ll likely choose your favorite creepy photo. It’s just basic human nature. This one is our favorite. Like the previous photo, this one prompts so many questions. Judging by the lack of leaves on the trees in the background, this picture must have been taken at a time when the days are shorter, which means the nights are longer. Still, around Halloween, there are usually more leaves on the trees, so this wasn’t a Halloween costume. Perhaps a play? Perhaps just a very deeply disturbed person with a friend who was willing to take a picture. Freals, if Facebook was around back then and this was posted, Zuckerberg would likely have shut the whole thing down. It’s that creepy. 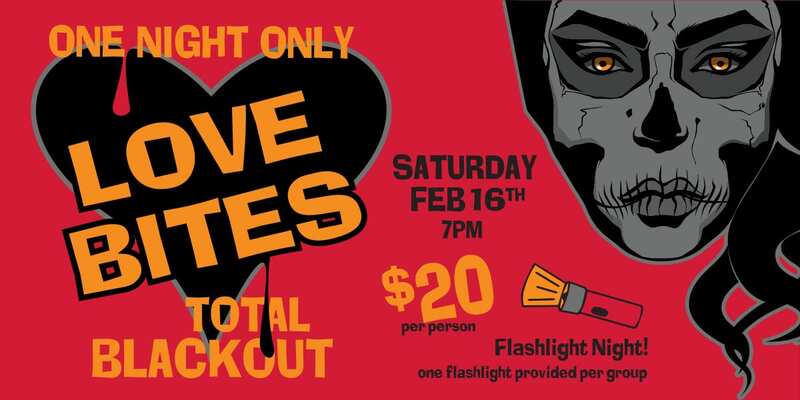 At Awaken Haunted Attraction, we like to keep our fingers on the pulse of current trends. Unless you have been living six feet under for that past few months you have seen that the clowns have organized and are unleashing a coordinated sortie with the sole aim of scaring the living crap out of all of us. Clowns can do this. You know why? Because people hate clowns. You know why people hate clowns? People hate clowns because of this clown. 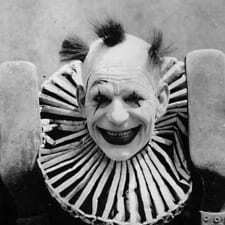 This is Clown Zero. 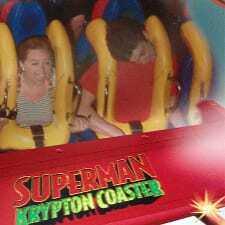 “Ride the Superman Krypton Coaster,” they said. “It will be fun,” they said. We can only imagine this is the conversion that happened before this ride took flight. That’s because, “Ride the Superman Krypton Coaster,” they said. “It will be disfiguring,” they said doesn’t have quite the same ring to it. In all honesty, we can’t figure out how he is the only one in this picture who looks like he’ll be loaded into an ambulance when it’s all said and done. And is he licking the seat? We’re pretty sure he’s licking the seat. Perhaps you have intuited it already, but we really are sensitive people here at Awaken Haunted Attraction. We are hard working, productive members of society. We have families. If you cut us, do we not bleed?! So, while we have an affinity for the grotesque, we don’t make fun of people’s appearances. We are all in this together, right? I mean, except for these people. Have you ever seen a family portrait where every single member of the family looks like they would not think twice about twisting your head off your neck? Us either. If you are a parent, you know the joy and struggle of raising a child. That child is the most precious gift you have ever been given. You can look into her eyes until she falls asleep in your arms. The slightest cry is enough to heighten your senses to levels unknown by your pre-parent self. 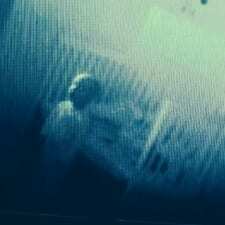 In fact, we often install video monitors in our children’s room so that we can even keep an eye on them when they are sleeping that deep sleep that only children can muster. Every now and again, you may wake up in the night and take a peek at the monitor to make sure she is fine and all snuggled up, just like little Miriam here who is… HOLY HELL! 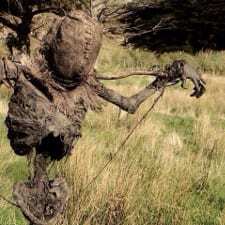 When the harvest moon is coming, and the cool breeze blows through the corn, we can reflect on the lowly scarecrow. His job, all season, has been to keep the birds from getting in the crops. Then, there is this fella. He looks like he has been there for a few seasons, now. His legs have fallen off, but his pelvis is still hanging in there. We aren’t totally sure what is up with the hood and, frankly, we are not sure we want to know. We are just going to assume it was a really good scarecrow and not, you know, something else. 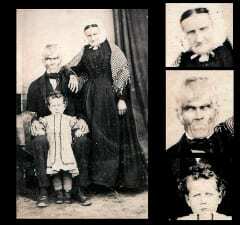 Well, there you have it; 13 of the creepiest pictures we have ever seen. If you have some creepy pics, please feel free to share them in the comments! ← Could a Zombie Apocalypse Actually Happen?